Our academic programs are rigorous, research-based, and rooted in best practices. Inspiring teachers engage and empower students to indulge their curiosity, take intellectual risks, express ideas effectively, and think critically to solve problems collaboratively or independently. Here are some of our unique academic programs that help us prepare students for the world beyond Trinity. All eighth graders participate in Innov8, a capstone class which guides the students through problem finding, researching, testing, and creating realistic plans for the issues they are tackling. Students form like-minded teams and are encouraged to focus on a specific problem or frustration that they've encountered. Students then follow a design-thinking loop to understand the needs of those impacted by that problem, create a real solution, then learn, improve, fail, research and cycle through the process again. Dream, design, discover. That’s what D-Lab is all about! It’s an innovation makerspace outfitted for hands-on, creative problem-solving. Whether sewing fabrics or soldering circuits, programming drones or composing soundtracks, woodworking or 3-D printing, students can bring their ideas to life. “Design thinking” is at the core of all tinkering in D-Lab classes. It starts with an idea, followed by a cycle of empathy, ideation, rapid prototyping, feedback, and revision to identify innovative solutions to actual problems before committing to a chosen medium or media to produce high-resolution products. The spirit of D-Lab is in full force in the Spring Trimester during DesignFest, a multi-faceted, school-wide learning event that harnesses our design-thinking framework to create innovative solutions to challenges all around us. The event is planned by our STEAM teachers (science, technology, engineering, art, and mathematics), but all faculty and staff participate. As our students approach middle school, their academic strengths, interests, learning styles, and gifts become defined. By 8th grade, they are ready to play an active role in choosing their next educational experience, and they don’t have to do it alone. Trinity offers a high school placement program that partners with parents and empowers students to find their ideal fit for the next level. The Academic Extensions model suspends traditional thinking about grade-level standards by allowing time outside of the regular classroom setting for students to receive academic differentiation and support. 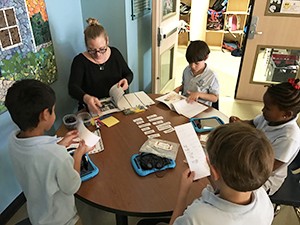 In each Extensions block, students in 1st and 2nd grades and 5th and 6th grades are grouped together across their grade level, and the instruction is strategically targeted to meet each student’s learning goals. Students learn and progress at the “just right” level, even if it means stepping back to grade-level content from previous years, or ahead to advanced years. Inquiry Seminar is a fourth-grade course that provides students with an opportunity to learn with purpose, and strategically develop questions that lead to a greater understanding of their perspectives and others. In doing so, they are beginning the process of recognizing the status quo and challenging assumptions that exist in their world. They accomplish this by using a variety of resources, learning to evaluate them for credibility and reliability, developing a critical eye in the process. Students learn to use the information to answer questions, as well as create a meaningful understanding of the information. Communicating and reflecting upon this is the culminating piece that results in students developing an understanding of the research process. STEAM is a project-based workshop in which students address engineering questions and technological solutions that emphasize research and problem-solving in science, technology, engineering, art, and mathematics. Students use knowledge acquired in their mathematics and science classes to support their explorations. This is a great class for students interested in hands-on learning, as students build everything from a race-car to a robot in order to learn about concepts including electrical engineering, mechanical engineering, and robotics. The advisory program is an important piece of student life in the Middle School at Trinity. 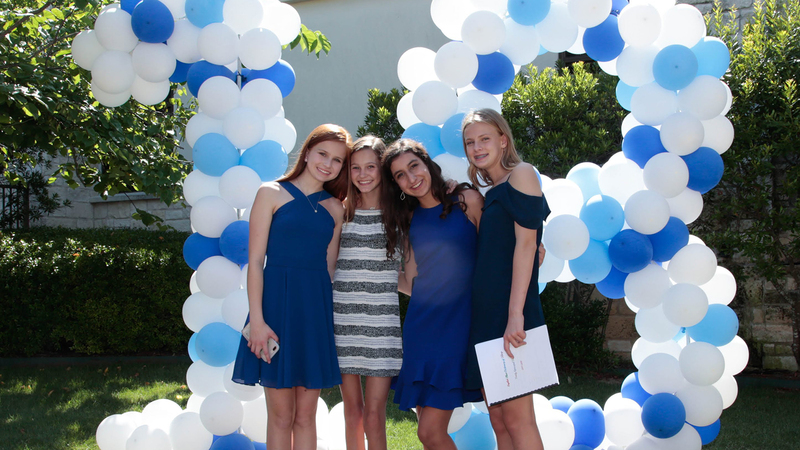 The purpose of advisory is to support and help each student develop academically, emotionally, and socially throughout the middle school years. The advisor honors each student's spirit for learning and life. The program promotes school spirit and a sense of community. It fosters positive social interactions, moral and ethical decision-making, and respect for self, community, and the world. Each grade level in the Middle School has five to six advisories, which consist of one teacher and ten to twelve students each. The advisor is the main liaison between home and school and is the personal and academic coach of each advisee. Advisories meet together for approximately 25 minutes each day, periodically at lunch, and at other specially scheduled times. Students eat snacks as an advisory group and do activities that range from fun and games to social and emotional lessons, to study and organizational skill-building and academic reflection. Occasionally, grade levels use this time for community meetings and other special events.